The flow rates to and from a feed stage of a distillation column are proportional to the thickness of the arrows in the figure. 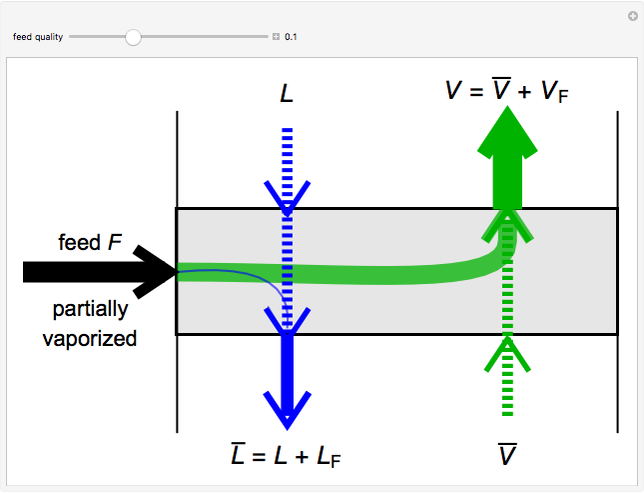 Liquid (blue) flows down the column and vapor (green) flows up. Use the slider to change the quality of the feed stream. A quality of 0 corresponds to a vapor feed ( ) at its dew point and a quality of 1 corresponds to a liquid feed ( ) at its bubble point; the state of the feed is indicated just below the feed arrow. Depending on its quality, the feed can go into the liquid flow or vapor flow, or it can be distributed between the two. 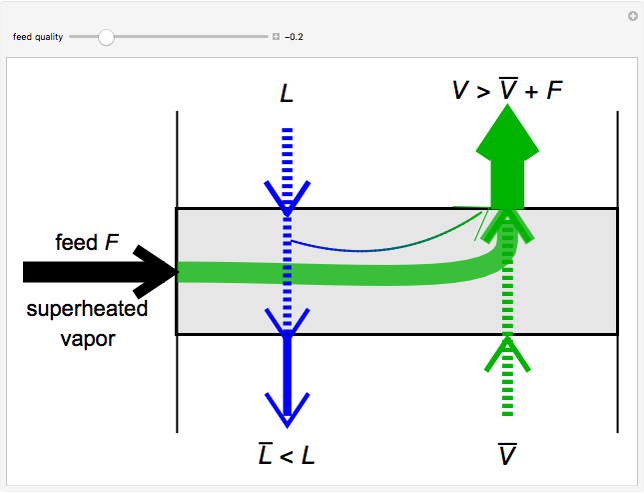 A superheated vapor goes into the vapor phase and also causes some of the liquid flow in the column to vaporize. 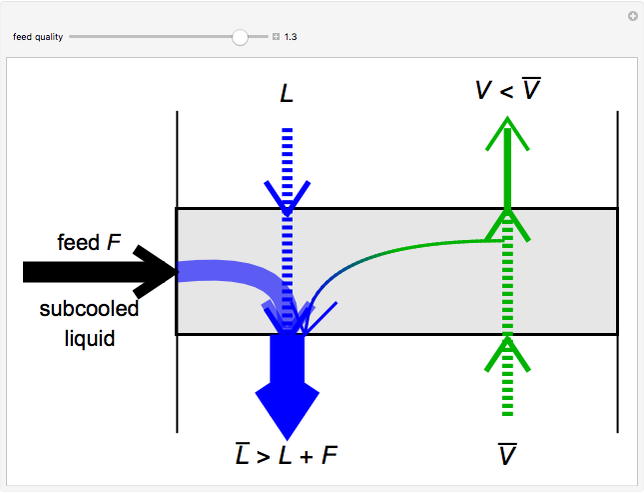 A subcooled liquid feed goes into the liquid phase and also causes some of the vapor flow in the column to condense. J. D. Seader, E. J. Henley and D. K. Roper, Separation Process Principles: Chemical and Biochemical Operations, 3rd ed., Hoboken, NJ: John Wiley & Sons, 2011 p. 265. Rachael L. Baumann "Feed Stages in a Distillation Column"